Simple architectural details help take an otherwise plain room and make it something extraordinary. Natural stone columns are one of the most classic ways to add some architectural interest to a building. Columns help create a feeling of timeless elegance in a home and they can be used inside and out. Each column is carved with great detail to create a unique and breathtaking architectural piece for your home. 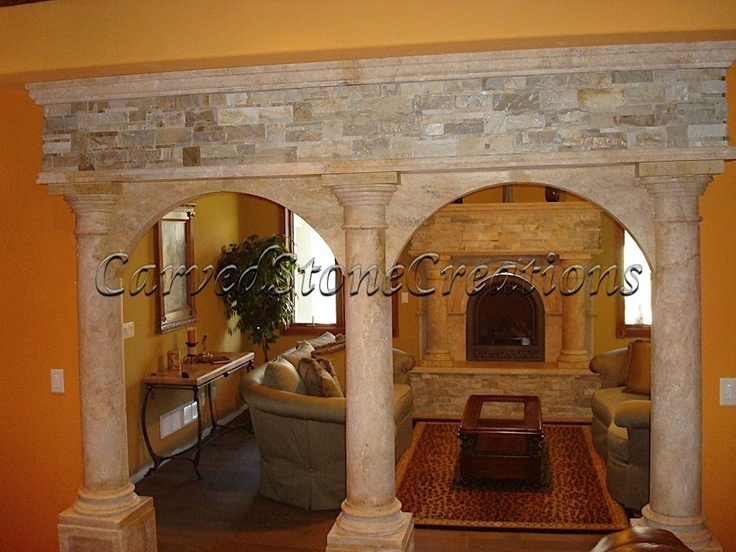 Below are a few examples of natural stone columns used beautifully in homes. These columns, below, are used to create a grand entryway into this living space. The stone veneer at the top of the entry and the column style compliments the same stone detail on the fireplace surround in the room. These columns, shown below, help to create definition between two rooms in this home. The sleek shape of the columns accents the architecture of the home. They also create a wonderful compliment to the arched doorways of this home. 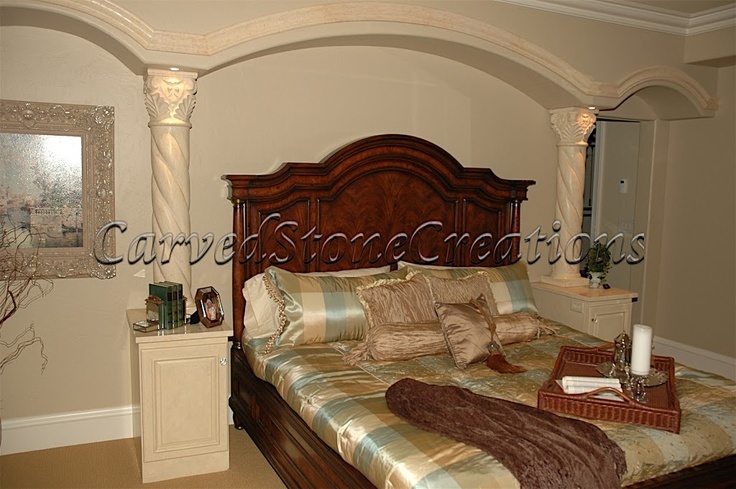 Columns can also be used as a decorative accent in a home too. These half columns in this bedroom help to create some interest on an otherwise plain wall. They also help to frame the bed and compliment the archway details. The interior columns, shown below, help to create a grand entryway in this home. The columns frame the archway in this home and they also help to create separation between the entrance and the rest of the home. When the guests walk into this home they immediately see the beautiful architecture of the residence. Lastly, are these beautiful outdoor columns. These columns match the architectural style of this house and they help to define the patio area. As you can see, columns are a great way to add some architectural details to your home. Need some more inspiration? Check out our columns idea gallery. Interested in installing columns in your home? Contact us.